Graf Supra 5500 Sr Goalie Skate | Sports Etc. For nearly a century, Graf has represented the pinnacle of both goalie and player hockey skates. With a focus on the mechanics of the human foot, Graf strives to create a skate that becomes one with the goalie’s foot. 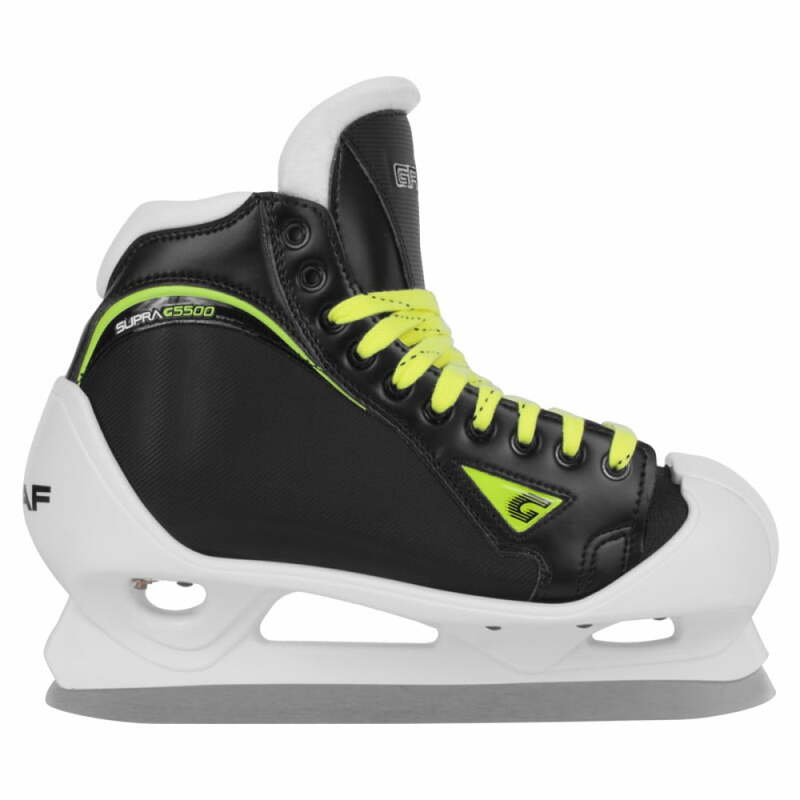 With a range of fits available in Graf skates, the Goaler G5500 will feature a medium heel width, moderately pronounced heel shape, and medium heel instep depth. This combination provides a broad fit range for nearly any foot style.